Browsing the archives for the Zigbee tag. After going dark for a while, I finally have some work to show. 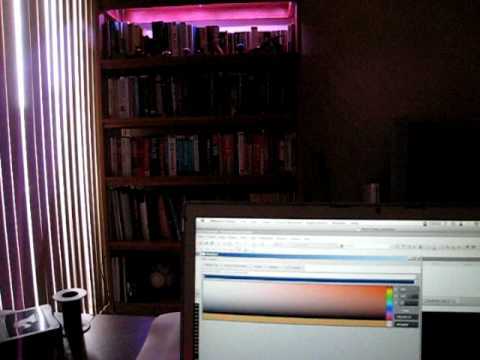 As you may know, the end result of this all is to have LED lighting units on my furniture that are all wirelessly controlled over the ZigBee wireless protocol. I’ve finally gotten to the point where I have a custom LED control circuit using an Atmega168 micro-controller, a TI LED controler, and an XBee ZigBee radio, and an application that can control it. Here’s a rough video of the result. Basically, I use my application to discover the lighting control over Zigbee wireless. I can then select the node, the lighting channel on the node, and the color to set the lights too. This is very rough prototype just to see the idea in action.